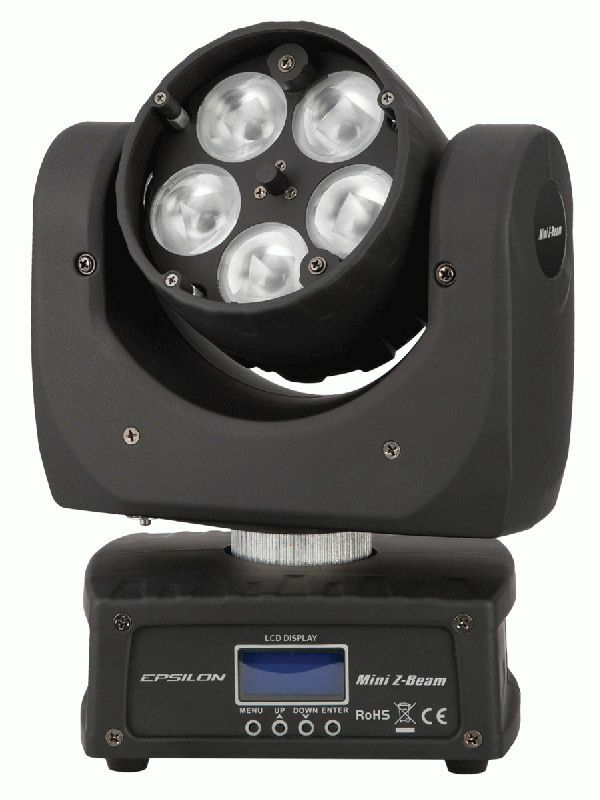 The Mini Z-Beam is the first ultra-compact high-intensity 80 watt Zoom LED Beam Moving Head fixture which features: 5 Osram 12 watt 4-IN-1 (Red, Green, Blue, White) Flicker Free LEDs in a professional compact yet easy to carry design that delivers a big punch. The Mini Z-Beam’s linear zoom motor allows you total control and flexibility offering a variable beam angle of 10-65 degrees, 8/16 bit Pan/Tilt, Smooth Electronic Dimming: 0-100%, Smooth Fade and 4 operating modes. 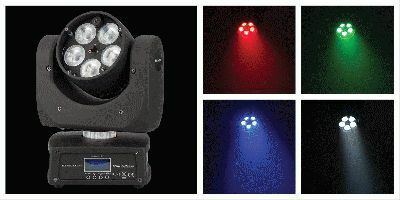 This compact Zoom Beam LED fixture features DMX-512, Built-in programs, Master/Slave, and Sound Activation to meet any operating environment. If you are looking to deliver the “WOW” factor in your lighting system without breaking budget; then the Z-Beam is the fixture that will impress any client. This fixture is ideal for any small-to-mid size venues, club install, events, production and mobile entertainment applications. The superior built-in cooling system allows you to run cool all night long with no duty cycle required.